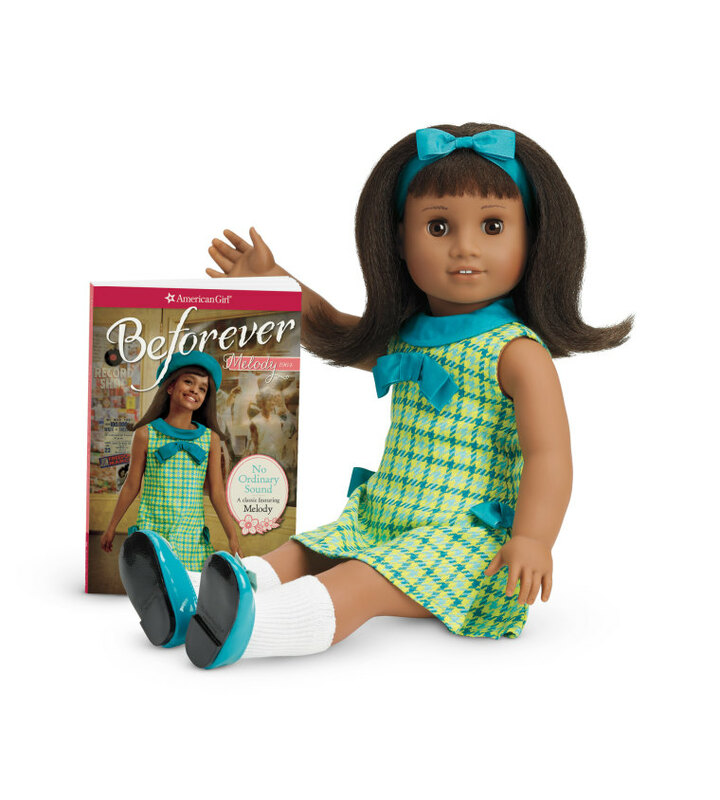 American Girl will celebrate 30 years of teaching young children about important moments in history in a fun and interactive way with a new Civil Rights era doll. Meet Melody Ellison, a young African American girl who is described as a “hopeful and positive" 9-year-old growing up in Detroit, Michigan during the Civil Rights Movement in the 1960s. Melody enjoys singing and joining her voice in harmony with others. When she experiences racial discrimination for the first time and sees others in her community experience it as well, she decides to use her voice to speak up for equality. She learns that when she joins with others, their voices become more powerful. Melody has dark brown eyes and thick, textured black hair. She wears a bright blue-green houndstoosh dress, a blue ribbon headband, and shiny blue patent shoes. This is the third African American doll featured in the BeForever collection, the first two being Addy Walker from Philadelphia circa 1864 and Cecile Rey from New Orleans in the 1850s. Melody Ellison will make her debut and will be on shelves in the summer of 2016.